Two tracks from ‘Spooky Action’ have made the Radio X playlist! 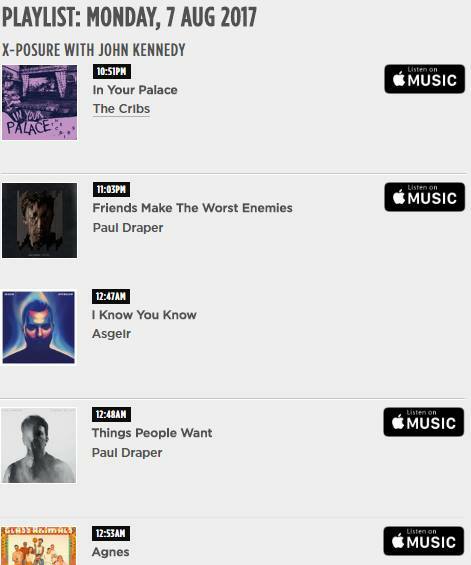 ‘Things People Want’ and ‘Friends Make The Worst Enemies’ have both made the evening playlist on X-Posure with John Kennedy. ‘Spooky Action’ is the debut album from former Mansun frontman Paul Draper, and is released on the 11th August. It can be ordered from a wide range of outlets HERE . You can listen to Radio X HERE .